I said earlier this week that I would have a use for that lemon curd I showed you how to make. Now, forgive me in advance, this is not a recipe post just a what I did. I've had a long week and today will probably be the longest day of them all. So I prepared a short, sweet post for you! This cake requires the lemon curd I showed you on Monday, or you can buy lemon curd premade in the jelly aisle in the store, a friend has informed me. 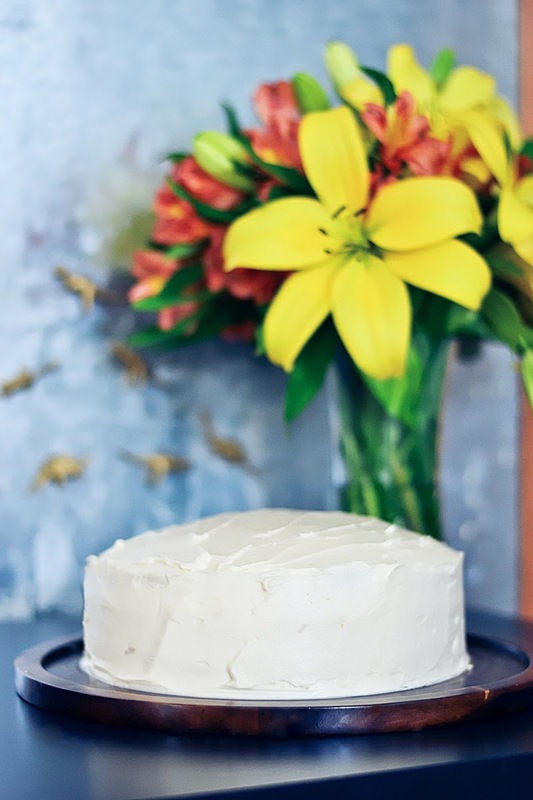 And then you need a white cake recipe as well as a buttercream icing recipe. 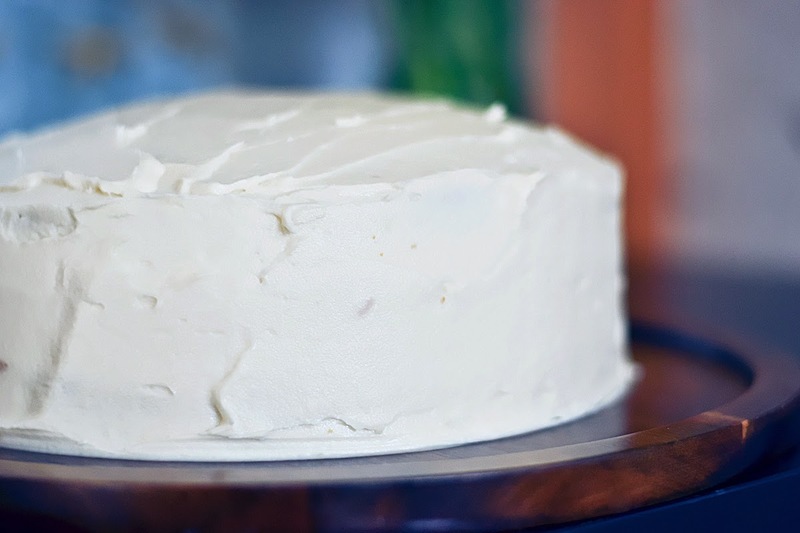 I have not posted my own at this time, so I suggest Mrs. Billets White Cake for your white cake. And buttercream is a pretty basic, easy recipe, but just incase you need one, Vanilla Buttercream Frosting. It may be common sense for those who bake often, but for you rookies, make sure you use unsalted stick butter in your frosting. It's best if you set the butter out several hours before you make your frosting so it can soften to room temperature without getting runny as it would if you try to microwave it. First off, you need to make the lemon curd in advance so it has plenty of time to cool. Also, make sure your white cake is nice and cool before you stack them and add the curd. If it's too warm the curd will either absorb into the cake, making it soggy or it will heat up and run off the sides of the cake. 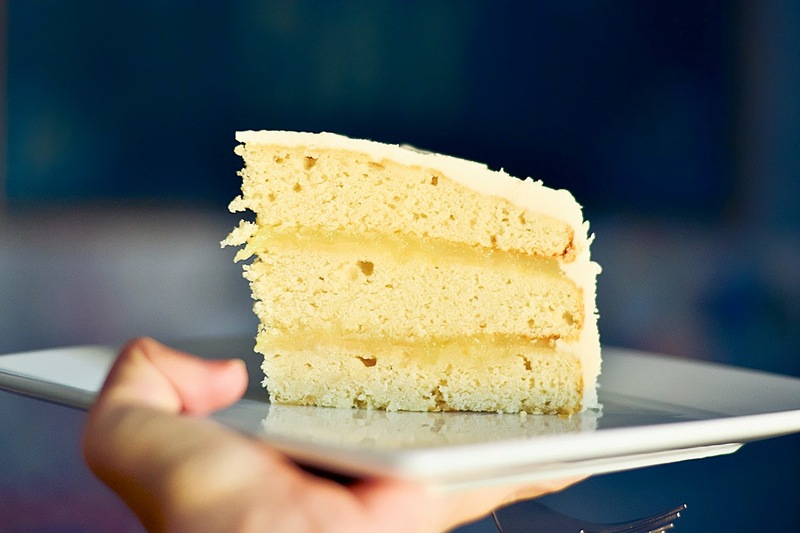 The process is simple, instead of using frosting between the layers, you will use lemon curd. 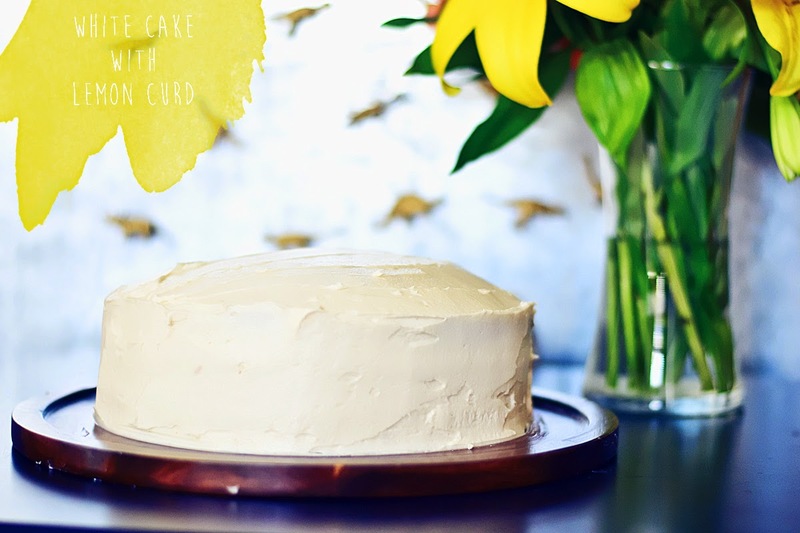 Spread it even and leave about a quarter inch between the curd and the edge of your cake. Adding the next layer will cause it the squish a little and this prevents it from oozing out the sides. How you frost this is entirely up to you. I like to just go around it nicely with my spatula but you can opt for any technique. Obviously, pinterest will be full of ideas if you desire a little inspiration. I almost colored my icing yellow and then I discovered my yellow food coloring hadn't been sealed properly and it had spilled all over my storage container. Fun times. And that is it! 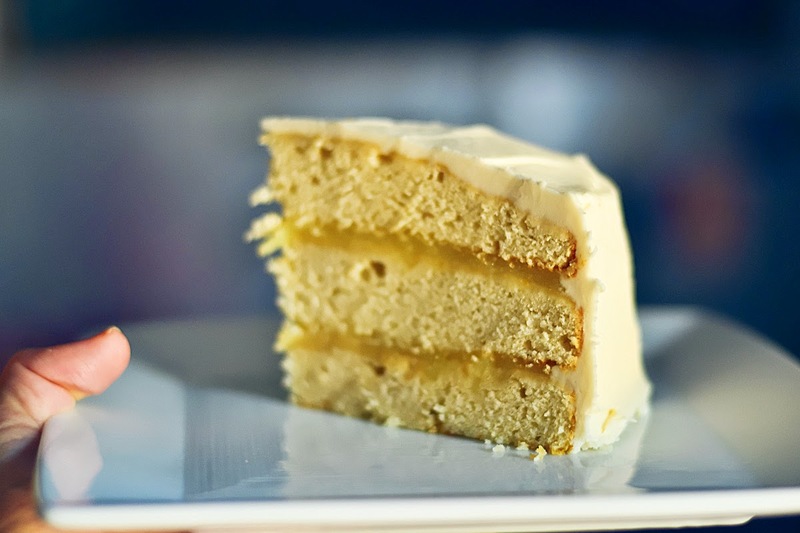 It's actually quite simple to do and the cake is super flavorful and rich. My layers are not the prettiest, I don't have a ton of practice layering cakes. I'm very aware that I should have evened my layers below... but you know, I'm a lazy baker when it's for myself. It's yummy, that's what counts, right? I think this is my farewell to summer, the world is already ready to move on to fall. All you crazies are already getting pumpkin everything, I'm going to abstain until October, lest I burn myself out. But don't let me put a damper on your party, enjoy your pumpkin everything. I'll just heckle you on instagram, like I do my friends. I suddenly wish I had cake. Ah well, I have cookie dough in the freezer. While I may not have a recipe for you today, I at least hope my creation inspires you to make your own little creation! 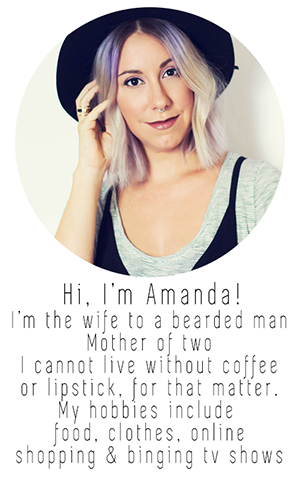 Remember to find me on instagram or twitter and share your creations with me.